Older reactor restart maps can be found in our Flickr archive. 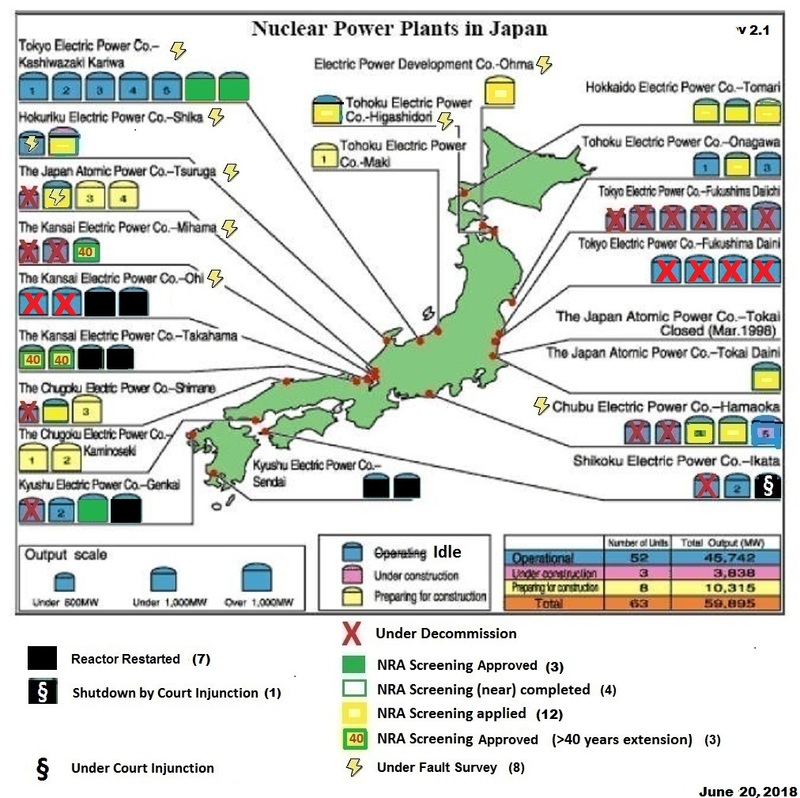 Japan reactor status can also be found here. Most recent information on Japan’s reactors that have applied to the NRA for restart inspections.